As most readers of the New Testament know, the words of Jesus are often spoken in riddles--in parables and other sayings that were and continue to be difficult to understand. 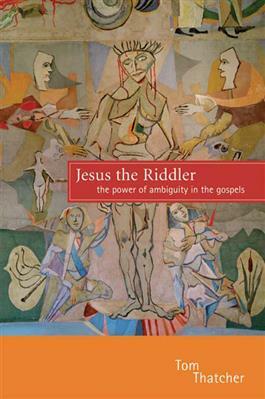 In Jesus the Riddler, Tom Thatcher explains that Jesus may have been intentionally ambiguous, using riddles to establish his authority as a teacher and to encourage his followers to think more deeply about the nature of truth. Jesus' riddles, like riddles across many cultures, potentially refer to many different things, and they challenge those who hear them to decode the meaning the riddler intends. Figuring out the riddles in which Jesus spoke requires a depth of faith and close attention to the words of the gospel. With text boxes and other helpful features, this book guides readers through discerning these puzzling and important words.